TDmonthly Magazine Products by 10VOX ENTERTAINMENT INC.
Products from 10VOX ENTERTAINMENT INC. This lion's king of the jungle, both online and off. While he seems to be an adorable, snuggly plush animal, he also has a secret code that allows kids to access the Kookeys website for fun and educational games. This high quality, 1:64-scale die-cast police car comes with a code that allows users to log onto the corresponding, interactive website. Once logged on, users get a garage and can fix up their cars and race them in the world of street racing, track racing and the dragstrip. The 06 Charger debuts in a limited edition. Launch date: February 2008. KooKeys offers a line of plush animals with online, interactive digital counterparts known as the Virtual Koo. Each plush KooKey comes with a special key that unlocks the online world for children to explore, interact, play, and learn. Launch date: 2007. 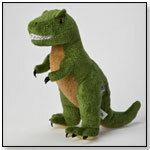 KooKeys offers a line of plush animals with online, interactive digital counterparts known as the Virtual Koo. Each plush KooKey comes with a special key that unlocks the online world for children to explore, interact, play, and learn. The high quality, die cast cars come with a code that allows users to log onto the corresponding, interactive website. Once logged on, users get a garage and can fix up their cars and race them in the world of street racing, track racing and the dragstrip. Launch date: February 2008. This fierce cuddler has an online counterpart that lets kids access a virtual world full of games, contests and rewards. — During TDmonthly's Homeschool Roundtable review of Kookeys, 8-year-old Joe Ledford expressed excitement for the online entertainment the plush animals afford. "Can I play the arcade games?" he asked his mom. "They are really fun!" 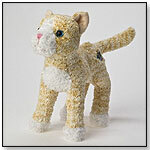 This cuddly kitty holds the key to an online world filled with games and rewards.